CINCINNATI -- Finding out that Ray Tensing was wearing a Confederate flag T-shirt when he shot and killed Sam DuBose brought out more pain and condemnation from the DuBose family Friday. 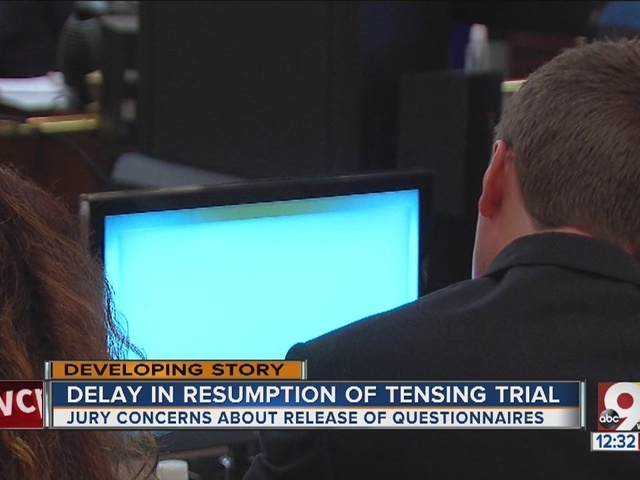 DuBose's sister and mother said it convinced them that Tensing is "evil" to the core. "I already knew Tensing was a murderer, but now I just thought, clearly, something's wrong with his spirit. That was my reaction. Something was wrong with his spirit," said DuBose's sister, Terina Allen. "Anytime a man will take a gun out and shoot another human being the way he shot my son - I think he was a wicked, evil man," DuBose's mother, Andrea DuBose said. The black T-shirt was presented in evidence in Tensing's murder trial Friday morning, and a photo of it shown during testimony blew up social media with strong opinions. Many agreed with DuBose's family, saying the flag represents racism and hatred. Others disputed that, saying it represents Southern pride. Some pointed that out DuBose's shirt appeared to be a souvenir from the Great Smoky Mountains (the 1934 stands for the year the national park there was established). They speculated Tensing bought it on vacation and it might hold no other significance to him. Other University of Cincinnati officers had testified that they were required to wear black T-shirts under their uniform during the summer – and that officers had to provide their own. Tensing shot DuBose during a traffic stop on July 19, 2015. City council member PG Sittenfeld criticized the T-shirt and Tensing's choice to wear it on the job. I think Confederate Flags are offensive no matter what. And if you are sworn to protect our community, u should not be wearing one - period. Allen wasn't ready to accept any excuses. "Why is he wearing a Confederate flag when he's a police officer? I don't think it represents anything except blacks are not equal in this country or slavery should never have been abolished, and he's wearing it while he executes a black man," she said. Tensing must know that the Confederate flag is offensive to blacks, said Bishop Bobby Hilton of Word of Deliverance Ministries, who was in the courtroom. "Apparently, he doesn't care much for African-Americans because he knows that is something that offends black people," Hilton said. "Why would I put something on that is offensive to another? Hilton said he was just starting to feel sorry for Tensing after three days of testimony when the T-shirt came to light. "I was feeling really bad for Mr. Tensing figuring he just made a horrible error, but when I saw that .that took my mindset to a whole different place," Hilton said. Ohio State Sen. Cecil Thomas, a former Cincinnati police officer, was also in court and said he was stunned. 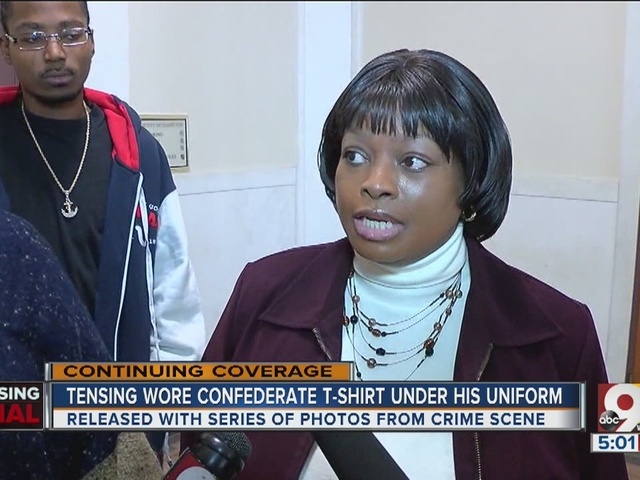 "The fact that it's a Confederate flag that you hid is your mindset underneath that shirt. That speaks volumes as to what kind of officer [he is]," Thomas said. Rodney Harris of the Hamilton County public defender's office says he wonders what the jury will think of Tensing from now on. "I think it gives them a reason not to like him," Harris said.